Marketers had high hopes for QR codes at the beginning of this decade. However, QR codes didn’t quite live up to the expectations, and it’s safe to say that by now the enthusiasm around them has died down a lot (at least in the West). But does that mean that you should abandon the dream of bridging the gap between the “real” world and the digital world with this technology? Not necessarily. In fact, in some regions of Southeast Asia, QR code usage is actually booming. Creative use of QR codes in marketing can still produce great results in 2019. Today we’ll dive into a few ways you can use them in your business and how to create trackable QR codes. What Should You Look for in QR Code Generator Software? QR stands for Quick Response which refers to the speed at which it can be read. It’s a two-dimensional barcode that can be scanned with a smartphone to access the information encoded in it. For example, this QR code below contains the URL of Kinsta’s home page (kinsta.com), and if you scan it, you will be taken directly to that website. Depending on your phone you might be able to scan it with your camera or you might need to download an app. Quiet zone. This empty white border isolates the code from the other printed information around it. Finder patterns. The three squares in the corners make it clear that this is indeed a QR code (and not any other type of two-dimensional code). Alignment pattern. It ensures that the code can be deciphered even if it’s distorted (for example, printed on a curved surface). Timing pattern. This pattern runs horizontally and vertically between the three finder patterns. It helps to identify individual data cells within the code. Version information. 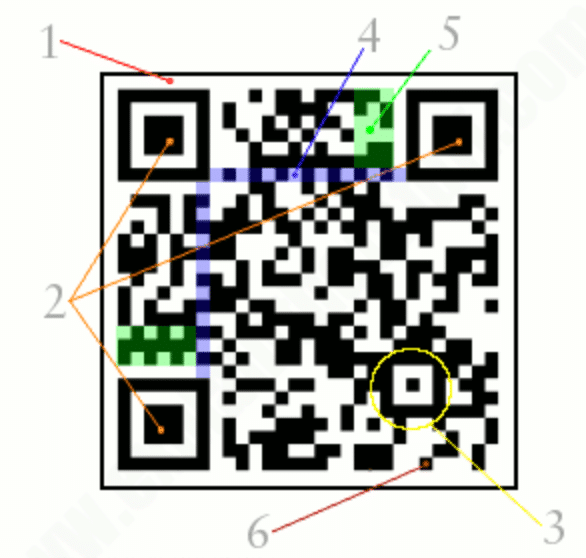 Version information shows which QR code standard is being used in that particular code. Data cells. Each square that is not a part of the standard features is a data cell that contains information. Most QR codes are black and white. However, the color scheme can be customized to better fit with the brand (as we did with the Kinsta QR code above), and it’s also possible to add a logo. The QR code was developed in the mid-1990s by the Japanese company Denso Wave which is a subsidiary of the automotive components manufacturer Denso. Denso Wave realized that there was demand for a new type of barcode that could hold more information than a regular one-dimensional barcode. They set out to develop a two-dimensional barcode that would not only hold more information but would also be faster to read (this focus on speed set Denso Wave apart from the other companies that were trying to develop a two-dimensional barcode but only focused on capacity). Initially, the QR codes were only used in the automotive industry to track vehicles throughout the manufacturing process, but soon other industries adopted them as well. This technology truly rose to prominence in the late 2000’s – early 2010’s, when widespread adoption of smartphones opened up a whole host of new opportunities. Now let’s take a look at the various ways people use QR codes. In China, people often pay for goods and services with apps like AliPay and WeChat Pay using QR codes. 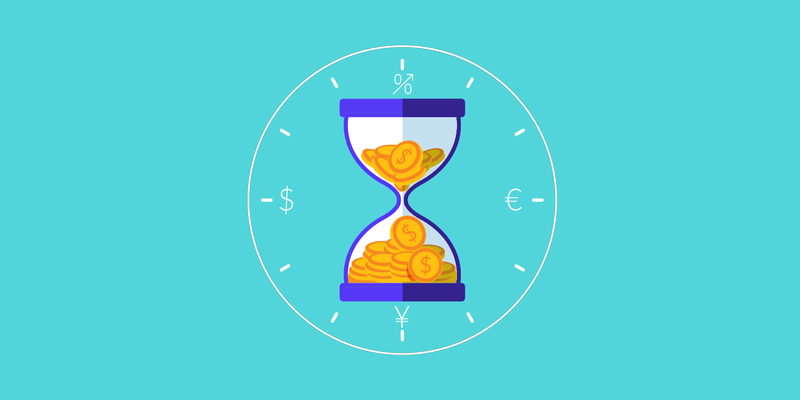 This method of payment is so popular there that a few years ago Serenitie Wang from CNN said that “the world’s largest economy is on the fast track to ditching cash”. It doesn’t seem that far fetched when you consider that even beggars in China accept mobile payments (though there’s more to that than meets the eye). At the moment, QR codes are taking off in Southeast Asia, and it might be the next region that will be transformed by this technology, though widespread adoption might take quite a while. “When comparing Southeast Asia with China, it is important to bear in mind that Southeast Asia is a very dynamic region and not one country or one market” noted Jeremy Tan, CEO of Liquid Pay. Meanwhile, the Chinese giant Alipay is partnering with Nordic companies to launch Europe’s first joint QR code payment system. 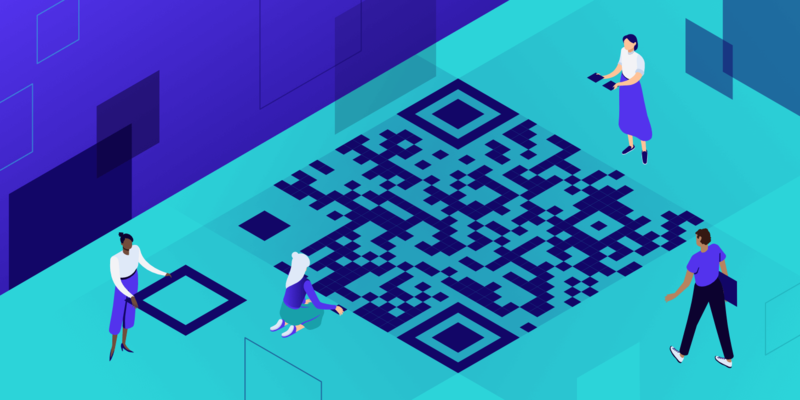 QR codes can be used to market anything from local events to premium hosting to art exhibitions (we’ll discuss these three examples in more depth in the next section of this article). Adding a QR code to a product can add more depth to it and make it more rewarding. For example, back in 2011, the video game developer THQ hid 10 QR codes in their game Homefront. Scanning them allowed the players to access exclusive videos and wallpapers. The result? Over 30,000 wallpaper downloads and over 18,000 video views. Some couples put QR codes on their wedding invitations to make organizing the wedding easier. “Who really wants to spend hours manually counting reply cards and building spreadsheets for vendors?” said Chrissy Stengel to the New York Times in 2012. “If the technology is available, why not use it so everyone wins?”. This practice has received some criticism for being too informal for such a big event, but Eliza Browning, the vice-president of Crane’s Digital (Crane and Co. is a 218- year-old stationery company), dismissed the idea that QR codes looked out of place on elegant stationery. A QR code on your business card lets you direct the person you gave the card to straight to your resume, portfolio, or website. This might be especially valuable to people who seek career opportunities by attending networking events because it allows potential clients and employers to check out their work. A few years ago Beijing started to move towards becoming a “smart” city by placing QR codes on bus stops, lamp posts, and even trash cans (the plan was to tag all public facilities in the capital of China with QR codes by 2018). Meanwhile, at around the same time, the Japanese town of Iruma started offering waterproof QR code stickers that can be attached to a nail or a keyholder to families with elderly members that are at risk of wandering off (that way it’s easier for concerned members of the public or the police to help them reconnect with their relatives). There was concern about the privacy of the elderly people and their families, but Chie Sano, a spokeswoman from the Iruma’s welfare department, said that Iruma was careful with personal information and that QR codes did not provide the person’s name or address (even the police had to go through the city council to get this information). Some people place QR codes on the tombstones of their loved ones. Scanning the code usually takes the person to a website with information about the deceased (biography, interesting stories, photos, etc.). In her piece for the Atlantic, Tamara Kneese raised an important question about the obsolescence of technology. As you can see, the QR code technology has a wide variety of applications, from personal to professional to civic, and it is interesting to consider how it affects our society. 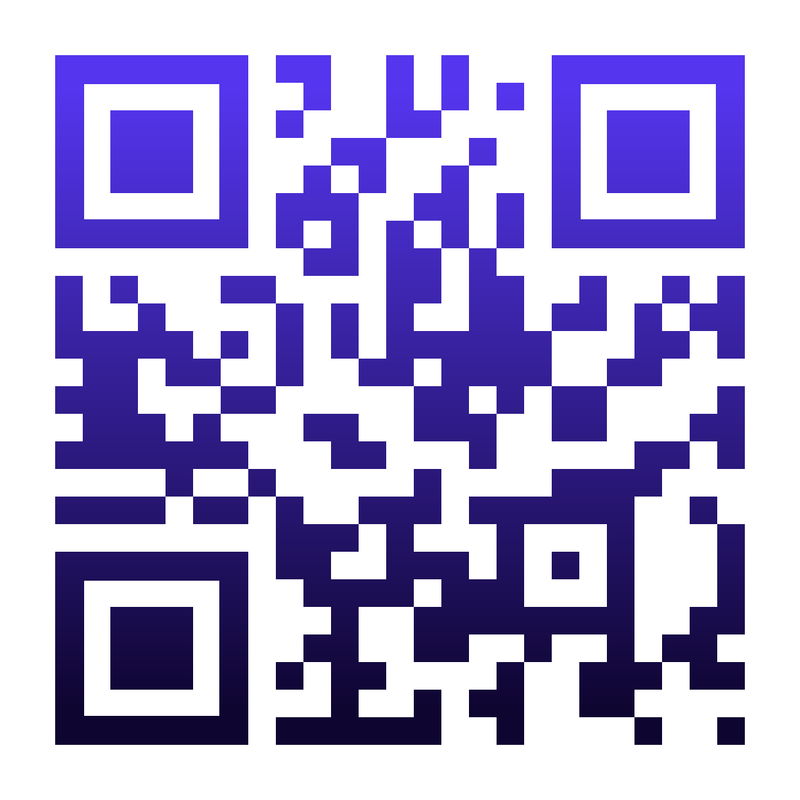 Of course, you are probably most interested in how QR codes can help you make more money, which is understandable. So how exactly can you use them to promote your business? When using QR codes for marketing was in its heyday, companies placed them everywhere, from billboards to posters to flyers to product packaging to TV ads to websites. However, this haphazard approach didn’t work well then, and it will definitely not work well now that the novelty has worn off. You can’t just slap a QR code on something and expect people to scan it and click through to your website. Think about it. You have probably seen a lot of QR codes over the years while going about your day. How many of them have you scanned? Probably only a few at best. So how can you get someone to scan your QR code? Well, first you have to ask yourself whether using a QR code even makes sense because quite often it doesn’t. Do your potential customers know what a QR code is? Age: For example, Millennials are more likely to use a QR code than Baby Boomers. Interest in technology: For example, software engineers are more likely to be familiar with QR codes than farmers. Location: For example, a Chinese person is more likely to be familiar with QR codes than a Lithuanian person. 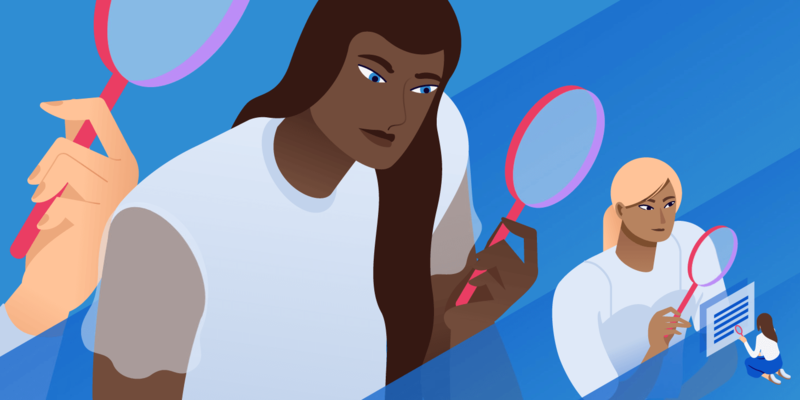 Now, obviously, these are generalizations, and there are always exceptions, but painting with a broad brush is necessary when trying to decide whether a particular marketing strategy is a good fit for your target audience. The point is, you should only use QR codes if your potential customers are familiar with them. Otherwise, it’s just a waste of resources. It’s not enough to have a target audience that is familiar with QR codes. You need to figure out where can you put your QR code so that potential customers would notice it and scan it. Where do people that you want to reach hang out? Do they frequent particular public spaces, restaurants, clubs, events, conferences? Would it make the most sense to put your QR code on flyers, posters, or free stationery, or something else? There are countless options so you need to decide what would work best for your target audience. You also need to provide enticing content to get people to scan your QR code. What would your potential customers be interested in? If you run an ecommerce business, you can offer a substantial discount. If you are promoting an event, you can offer an exclusive interview with the artist. If you are promoting a book, you can offer a free chapter. The idea is to direct people who scanned your QR code to content that is valuable to them and makes them more likely to make a purchase. In short, in order to get results with QR codes, you need a target audience that’s familiar with them, a channel you can reach them through, and content that is interesting to them and promotes your business. The regional office of a national entertainment company wanted to promote concerts that were held in a local venue and reached out to Sir Speedy for help. The same company had recently partnered up with a national fast-food chain which meant that the chain had to be included in their marketing efforts. Sir Speedy team noticed a unique opportunity. They printed QR codes on 100,000 soda cups. These cups were then used at the local branch of the fast-food chain. QR codes would direct the restaurant customers to a website where they could download the restaurant app. But that wasn’t all. The same website also had information about the events at the local venue. People could learn more about the bands, see the concert schedule, and even buy tickets. This first batch of soda cups with QR codes generated over 1,000 scans. 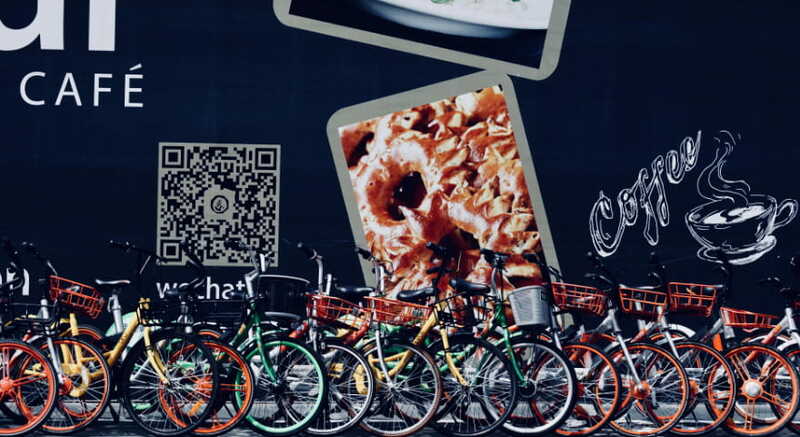 As a result, the partnership between the entertainment company and the fast-food chain was strengthened, and the local restaurant even bought additional promotion at the venue, with QR codes on all their signage. 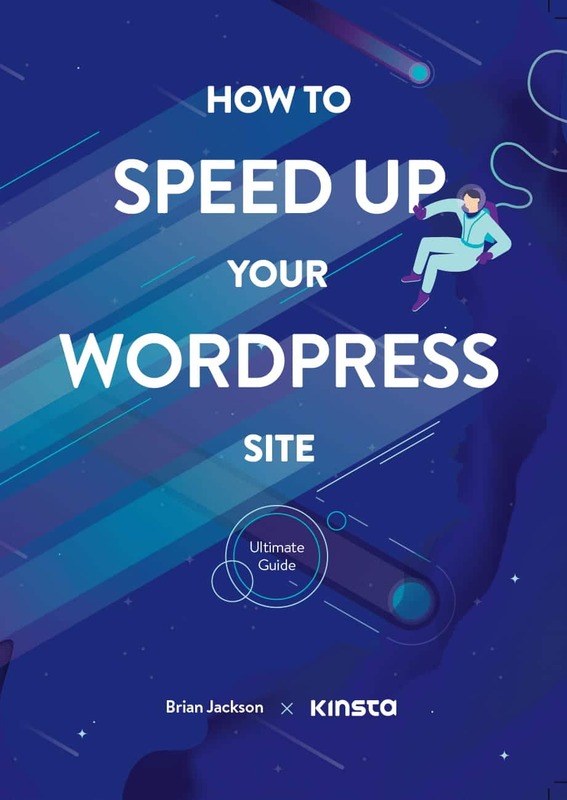 We have a massive 25,000-word article called “How to Speed up Your WordPress Site (Ultimate 2019 Guide)” in which we share everything we learned about speeding up WordPress over the last 15 years. 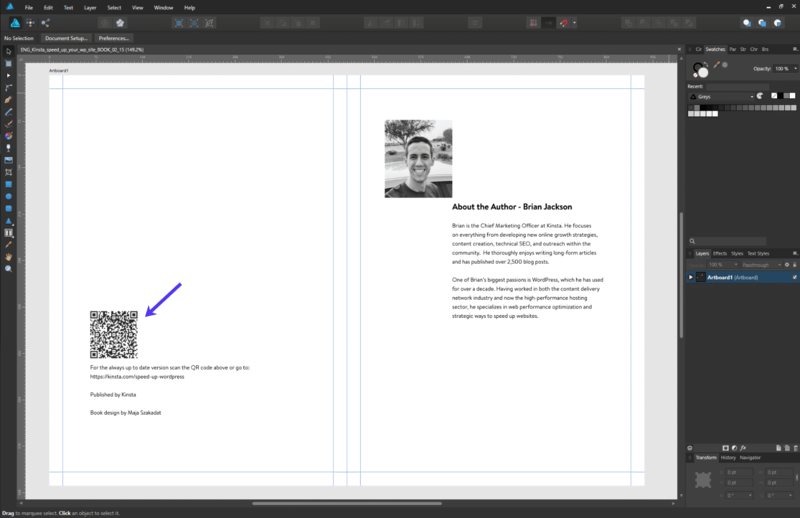 This article was quite popular, so we decided to turn it into a printed book, which we now take to WordCamps (WordPress conferences) and give away for free. We added a QR code to the introduction so that people could easily check the online version which we update regularly. 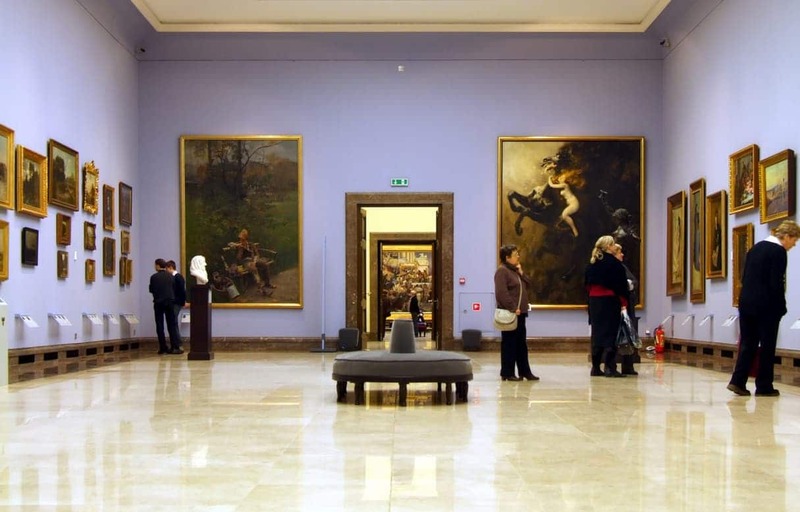 Sukiennice Museum, which is located in the heart of Krakow, Poland, is a gallery that displays 19th-century Polish art. In 2011, the museum opened their doors after a major renovation, but young people didn’t seem to have any interest at all in visiting it. So the Sukiennice team got creative. They developed an app to bring art to life. When a visitor used the app to scan the QR code next to a painting, they were directed to a video that told the story behind that painting. These were stories of war, love, crime, and more. This worked so well that for a few months after the release of the app it was virtually impossible to get museum tickets because so many people wanted to see the innovative exhibition for themselves. This campaign helped the museum get media coverage and attracted almost 20% of Krakow’s population. Note how in all three examples the target audience knew what a QR code is, the channel choice made sense, and the content was valuable. Okay, so you want to create a QR code, but you don’t know which QR code generator software to use. After all, there are quite a few of them out there! How can you pick one that is right for you? Ability to generate dynamic QR codes: Dynamic code means that you can modify the data which you can’t do with a static code. For example, if you use a static code, then you can’t change what website it directs to, meanwhile if you use a dynamic code, you can. You want to have the option to make changes if you need to. Ability to customize the QR code design: While black and white codes work just fine, customizing a QR code to fit your brand might make it more noticeable and more appealing to potential customers. Ability to track QR code campaigns: At the very least, you should know how many times the code was scanned, but ideally, you should also be able to get details like scanning location, what device was used, etc. Keep in mind that you can’t have a serious marketing campaign without tracking the results, so this feature is absolutely crucial. There are a lot of free options available, and if you just want to play around with QR codes out of personal interest, those free options are enough, but they often lack some of the key features that are necessary for professional use. Here are a couple of different ways to create a QR code, both free and premium. Don’t need all the extra tracking functionality or dynamic code feature? 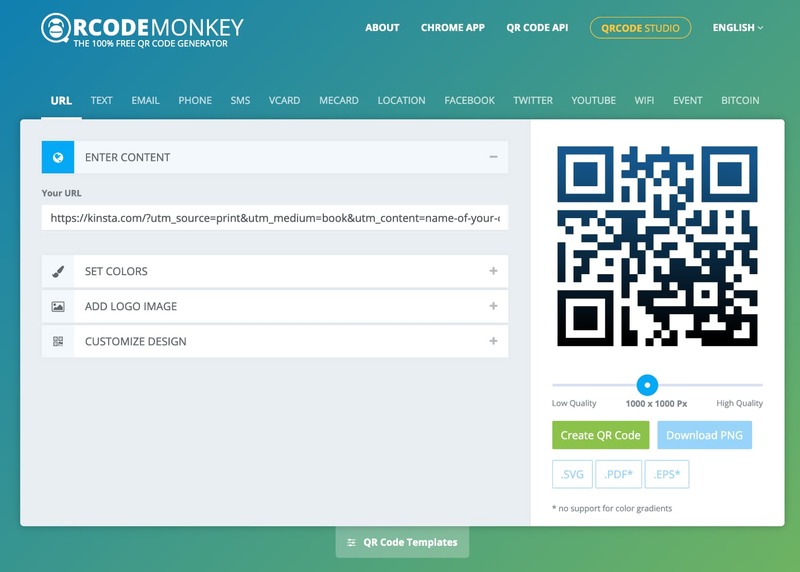 If you just need to create a quick QR code for free, we recommend checking out QRCode Monkey. If you’re going the free route, we highly recommend creating a URL with UTM parameters so that you can see in Google Analytics the number of visitors that came from your QR code. You can use Google’s Campaign URL Builder. Here is an example URL for a printed book. You will want to change the source, medium, and content to match what you are promoting. 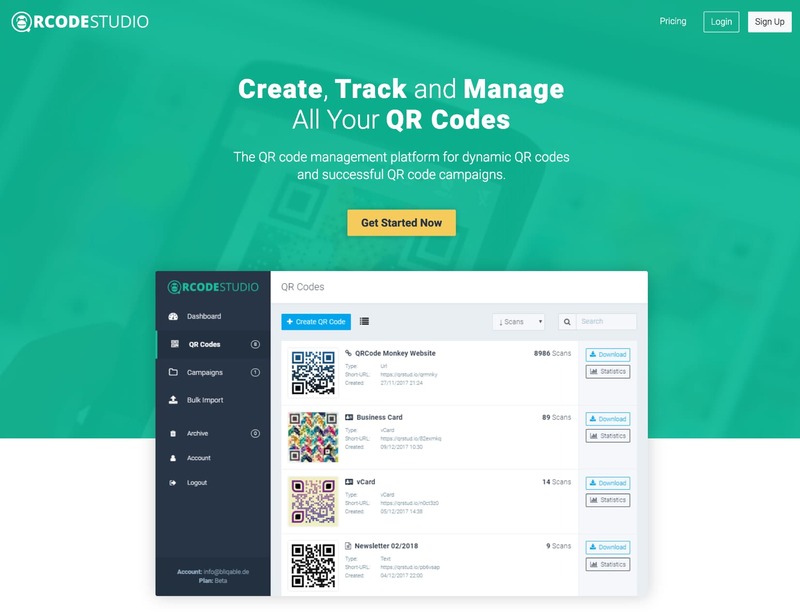 If you want some additional features or are launching multiple QR codes, we recommend checking out QRCode Studio. This is a premium QR code generator software created by the makers of the free tool we used above. 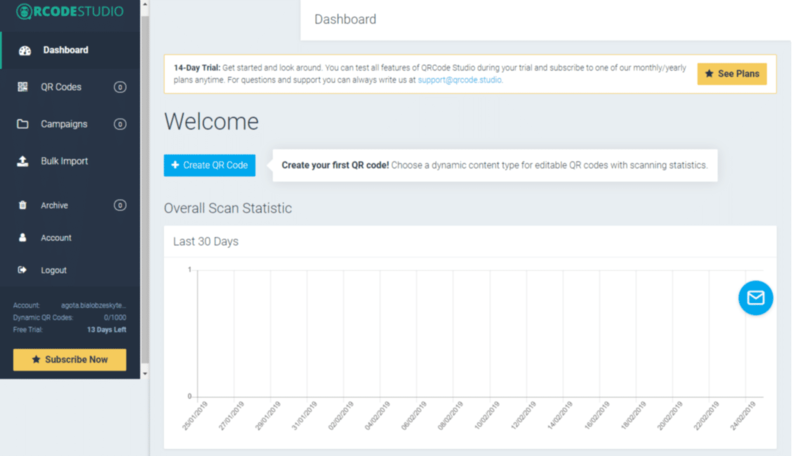 QRCode Studio is aimed at professionals who want to be able to create dynamic QR codes, organize them, and track them. There are three plans: starter (€5/month or €60/year), regular (€15/month or €180/year) and premium (€39/month or €468/year). Starter: Unlimited static QR codes, 3 dynamic QR codes, unlimited scans, custom designs, design templates, basic statistics. Regular: Everything from the starter plan, 100 dynamic QR codes, advanced statistics, bulk import with to 50 code limit. Premium: Everything from the regular plan, 1,000 dynamic QR codes, bulk import with a 500 code limit, white-label short URLs (use your own domain for short URLs). All plans have a free 14-day trial. Okay, so how do you create a QR code with QRCode Studio? First, you need to sign up for an account and activate it by clicking the activation link, which you will find in the welcome email. Then click the “Create QR Code” button on the dashboard. Then, select content type for your QR code, for example, URL. Once you named the QR code, added a link to it, and customized it, click the “Create” button. The newly generated QR code will show up on your dashboard (you can test it by scanning it with your phone). You can then download the code by clicking the “Download” button and put it on your marketing materials. Now you know how to create a QR code. Simple, right? Remember, this is a dynamic code (assuming you didn’t choose the static option), so you can edit its content at any time. QR codes owed a lot of their initial popularity to people’s fascination with a new and seemingly futuristic technology. A lot has changed since then. In some areas of the world, the novelty has worn off. So you can’t always count on it to get people to scan your code. You have to give them a reason to do it. Have you used a QR code recently in any of your marketing materials? If so, we’d love to hear how it went.